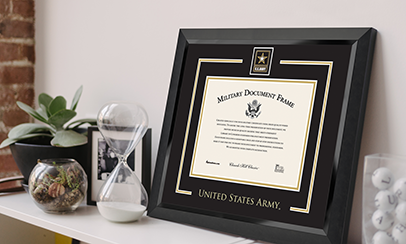 The Frame My Future Scholarship Contest 2019 is open all legal residents of the 50 United States and the District of Columbia including APO/FPO addresses (excluding Puerto Rico and other U.S. territories) who are attending a post-high school institution full-time for the 2019-2020 academic year. This could be a community college, an undergraduate college or university, or a graduate school. There is no minimum age to enter. You need to attend college full-time for the 2019-2020 academic year. If you are a minor (under 18) and become a Finalist, you will need a parent’s permission to enter the Finalist stage. Can the scholarship be applied to tuition at an international school? The Frame My Future Scholarship Contest 2019 is only applicable to colleges and universities located in the United States. Can I apply if I receive a military scholarship? Yes, you may apply if you receive a military scholarship. Please note: If you are a Winner, the award will be disbursed to your college or university and applied to your tuition bill even if you receive a full military scholarship or other full academic scholarships. There are no GPA requirements to enter the Scholarship Contest. You must fill out the online entry form located here and upload an original entry piece that is your own work. The entry period runs from October 16, 2018 until April 1, 2018 (11:59 PM Eastern Time). What file formats can my entry piece be? Your entry piece MUST be a JPG/JPEG format or PNG file format. Any other format will not be accepted. Maximum file size: 2MB. Recommended upload size: 1600 x 1200 pixels or 1280 x 960 pixels. What should I include in the accompanying description of my entry? Your accompanying description should be a brief overview of your entry piece in relation to the Frame My Future theme and cannot exceed 500 characters (a character is every letter, number, symbol, or space). You cannot mail or email your entry. All entries need to be submitted through the online entry form. I am receiving an error message when I submit my entry. What should I do? Your entry piece must be in an image format (JPG/JPEG or PNG). If you have a written piece, you can scan the document and save it in an image format. If you do not own a scanner, many local schools and libraries have scanners available for public use. Your image cannot exceed the maximum file size (2MB). You must fill out every field on the entry form. Your description cannot exceed the 500-character limit (a character is every letter, number, symbol, or space). All entries must be received before the contest closes on April 1, 2019 (11:59 PM Eastern Time). There are no exceptions. To avoid possible computer or entry issues, submit your entry well ahead of the deadline. You will receive an email once your entry has been posted online. Please add info@diplomaframe.com to your safe sender list so you can receive the confirmation email. All entries must be reviewed and approved by Church Hill Classics before they are posted in the entry listing. Depending on how many entries are received, this could take a few days. I didn't receive my confirmation email. Why? Some ISPs (Internet Service Providers) commonly install email filters that block or filter emails sent from unknown addresses. If you have a "junk mail" box, check to see if that's where the email landed. If you've installed software to monitor your email, make sure your settings aren't causing your emails to get blocked. Adding info@diplomaframe.com to your safe sender list may help ensure that you receive the confirmation email. If you’ve successfully submitted an entry, you will see a message like this: “Thanks for entering. Please note, entries must be reviewed and approved by Church Hill Classics. You will receive an email when your entry is approved and has been posted online.” It means we have received your entry, and you are all set! Due to the high number of submissions, you may not receive a confirmation email for a few days. Please be patient while we review and post the entries in the order they are received. Will my entry be seen online? Yes, as long as your entry fits the requirements, it will be featured online in the entry listing with the other qualified entries. The information featured online will include: your entry piece and accompanying description; your first and last name; the school you are attending or plan to attend; and your current city and state. Any other information on your entry form is kept internal. I accidentally uploaded the wrong entry. Can I delete my entry and submit a new photo? Due to the large volume of entries submitted to the contest, all approved and posted entries are final and cannot be replaced or modified. Entry pieces and accompanying descriptions are judged based on creativity in relation to the contest guidelines and the Frame My Future theme. What is a JPEG/JPG or PNG? They are types of image files. How do I convert a word file into a JPEG/JPG or PNG file? Zoom out as much as you can on your word document. Click “Print Screen” located at the top right of the keyboard. Paste the screenshot in a photo editor program or Paint. Save your entry piece as a JPEG/JPG or PNG file. There will be 24 Finalists. The 24 Finalists will be chosen by a panel of judges at Church Hill Classics based on the creative entry piece and accompanying description in accordance with the contest guidelines. The 24 Finalists will be announced April 22, 2019 at approximately 10:00 AM (Eastern Time). If you are an entrant, please add framemyfuture@diplomaframe.com to your safe sender list to ensure you receive the Finalist announcement. What does the public vote for? The public votes for its favorite entry from the 24 Finalists. When can I vote for my favorite Finalist entry? You can vote any time between April 22 and May 20, 2019 (11:59 pm Eastern Time). How do I vote for my favorite Finalist entry? View the selection of Finalist entries. 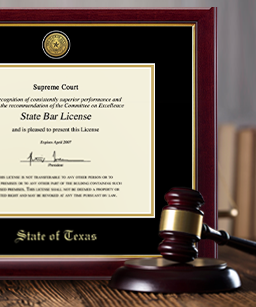 Click on a thumbnail to view an entry's detail page, which includes an entry close-up and accompanying description. You can vote for an entry on this entry detail page. Just click the "Vote For This Entry" button and insert your email address. Click the “Submit” button to place your vote. There is only one vote allowed per email address per day. I was chosen as a Finalist and want to buy votes. Can I buy votes? No, if you purchase votes, you will be disqualified from the Scholarship Contest. We have anti-fraud procedures set in place, and any suspicious voting behavior will result in you losing your Finalist spot. Please note: If someone asks you for money to buy votes, it is most likely a scam. I was chosen as a Finalist and want to know how many votes I have received to date. Is that possible? Unfortunately, we do not disclose the ranking during the voting phase. We encourage each Finalist to reach out to his/her friends and family during the voting phase to gain daily votes. The more work a Finalist puts into gaining votes, the more likely he/she is to win one of the Scholarships. Winners are chosen exclusively from the public voting phase. The three entries with the most votes will be Scholarship Winners. The top-voted entry is named the Grand Prize Winner. 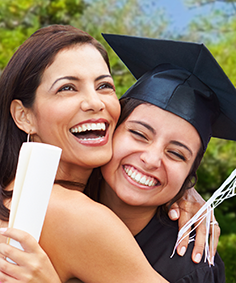 Winners will be required to submit one photo of themselves with their custom diploma frame by July 12, 2019, which will be used for promotional purposes prior to receiving their Scholarship check. The Winners will be announced on June 3, 2019. How is the Scholarship money disbursed? The Scholarship is paid directly to your college or university toward your 2019-2020 tuition. 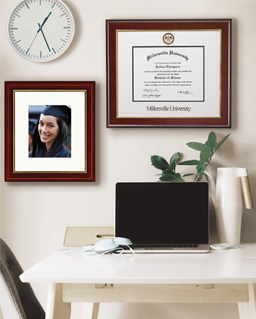 Your Scholarship check will be sent to your college/university by August 15, 2019 after we receive a photo of you with your custom diploma frame. Please email framemyfuture@diplomaframe.com with Frame My Future Scholarship Contest 2019 in the subject line.